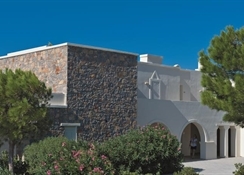 Almyra Hotel and Village is a 4* hotel located in the beautiful area of Ierapetra Crete . 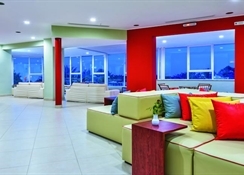 The hotel offers a variety of amenities such as swimming pool, bars, restaurants and conference center. Guests can relax in the spacious, beautifully decorated rooms of the hotel which are fully equipped and have magnificent view. 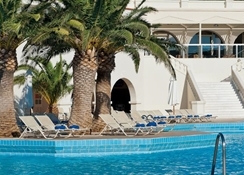 Almyra Hotel and Village is the ideal place for relaxing and pleasant vacations. STANDARD : Breakfast, Lunch and Dinner with the â? ?buffetâ? formula in the main restaurant. At Pool Bar: Late breakfast 10.00 am â?? 11.00 am with Croissant, cakes, biscuits. Snacks at the pool bar, between 11.00 and 18.00 Hamburger, pizza, hot dog, sandwiches. Snacks at the beach bar between 11.00 and 18.00 Pizza, sandwiches. Main Bar : Appetizer at the bar between 19:00 and 20:00 (chips. CanapÃ©, mini sandwiches, olives, etc.) OPENING BAR TIMES Beach bar: 10.00 - 18.00 Pool bar: 10.00 - 18.00 Bar:18.00 - 02:00 All inclusive Beverages in our bars are till 23.00.